and founder of The Next Chapter (“TNC”) Wealth Partners. by providing services that foster wealth creation in professionals, entrepreneurs and influencers that are income-rich but asset-poor. Samke is also a corporate speaker, MC and panel moderator whose standing clients include Anglo American and Standard Bank; resident financial columnist for BONA magazine; business anchor on The Fresh Breakfast show on Metro FM; regular media commentator on eNCA; financial inclusion champion of the Graca Machel Trust; and author of a children’s entrepreneurship book titled Zuki & Friends, commissioned for the Blue Ribbon Mmmm Yum Kidz Tuckshop program. Described by CNBCAfrica as a personal finance goddess, she has also established a Pan-African following after hosting a She Leads Africa webinar titled Managing your money and Investments (one of their most viewed webinars to-date); hosting a booked-out event in Nairobi titled Redefining the narrative around Women & Wealth Creation, and going on a successful media tour to Nigeria where she was featured on a number of TV, radio and magazine platforms. Samke sharpened her expertise during her 7-year tenure at Investec Specialist Bank and Asset Manager. She currently serves as the youngest board member of state-owned mineral research technology agency MINTEK, and sits on its Audit & Risk Committee. Samke holds an Accounting degree from the University of Cape Town, Postgraduate Diploma in Management from the Wits Business School, and an MBA from the same college completed with a dissertation titled Factors contributing to over-indebtedness of black South African females. South Africa's largest commercial radio station boasting 4 million listeners. 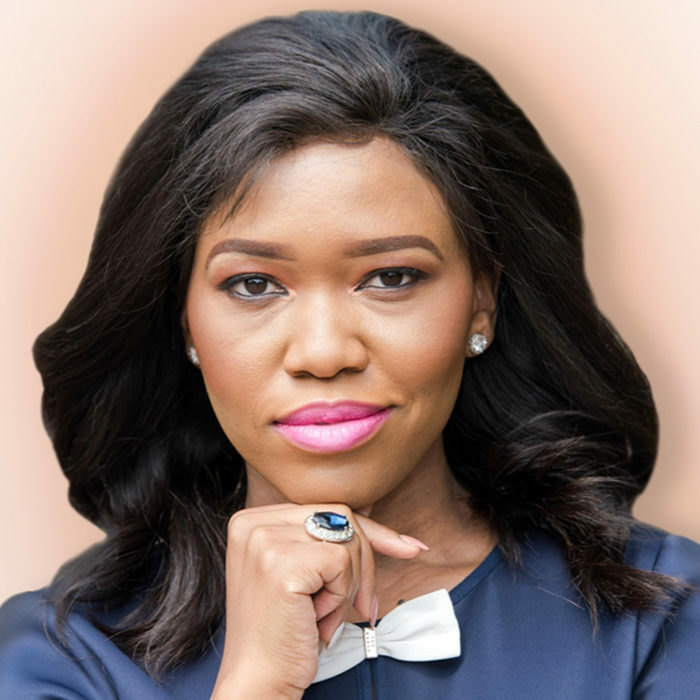 Samke continues to be a regular finance commentator on leading Pan-African news stations eNCA and CNBCAfrica and is frequently profiled on West African digital media platforms BellaNaija Online which have a combined following of over 1.1 million. Samke has successfully partnered with a number of brands as a brand influencer. Her brand influencer approach is organic subtle and believable, as she chooses to partner oly with brands that are aligned to her own personal brand.